The presentations will be focused on presenting recent research and results from leaders in the photo polymerizations field. Each speaker will be asked to present their recent results and critical achievements that have resulted from their research or those that would aid them in product development. A significant amount of each speaker's time will be allotted for audience discussion and answering of questions. It is hoped that significant dialogue will occur between academic and industrial scientists in this rapidly expanding, critical area. Abstract submissions are welcome for technical presentations addressing research topics related to photopolymerization or any type of energy curing. The meeting will include a vendor exhibit that will be combined with the poster sessions and encompass two afternoons with sponsored cash bar. Exhibits will include a 6 foot table top exhibit area with option for electricity. The cost to exhibit is $1500 and includes complimentary registration for 1 person. Sponsorship will include a 6 foot table top exhibit area with option for electricity. Sponsorship will also include having the sponsor name and logo in the technical program, verbal acknowledgment of sponsorship during technical sessions, and the option to distribute company literature with the registration packet to all attendees. The cost to sponsor is $2500 and includes complimentary registration for 1 person. 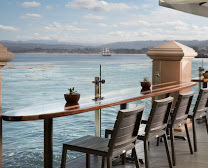 Please check out the new Vimeo with a birds eye view of the Monterey Plaza Hotel and Spa! Housing arrangements can be made by calling 800-334-3999. To receive the special group rate of $179/night, please mention that you are with the Photopolymerization Fundamentals Conference when calling the reservation office. Reservations must be made by August 21, 2019 at 4:00pm in order to receive the group rate. 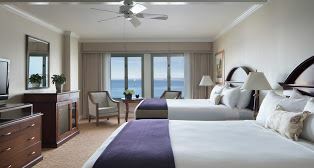 The Monterey Plaza Hotel & Spa is only 5-10 minutes from the Monterey Peninsula Airport, with connecting flights through San Francisco and Los Angeles International, Phoenix, Salt lake City, Las Vegas and Denver Airports. The San Jose Airport is just about an hour and 15 minutes away, while the San Francisco Airport is around 90 minutes away. The Monterey Peninsula Airbus provides transportation from Monterey to and from the San Jose and San Francisco airports. Reservations are required for door to door service. Please call the Monterey Airbus at (831) 373-7777 or www.montereyairbus.com. 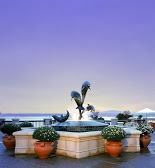 San Francisco Airport to Monterey Plaza Hotel: $62.00 each way and $124.00 round trip. Individual cancellations must be received within 24 hours of arrival to avoid full rate for the entire stay. Journal of Polymer Chemistry is sponsoring a Student Poster Competition with $200 cash prize. Registration fees through July 14th are $845 for non-students and $480 for students. A special registration rate is being offered to Radtech International members of $795. In addition, to the general registration fee, a special short course is being offered for $295 for non-students and $120 for students. These fees will increase after July 14th! To register, simply click the button below. Half of the registration fee paid will be refunded less a $25 processing fee if registration is cancelled in writing prior to September 1, 2019. No refunds will be given for cancellations after September 1, 2019. The conference organizers will consider name substitutions. Copyright © 2016 RadTech International North America. All Rights Reserved.